Ever since Google popped up in 1996, marketers and business owners have been trying to figure out how to get noticed via search. 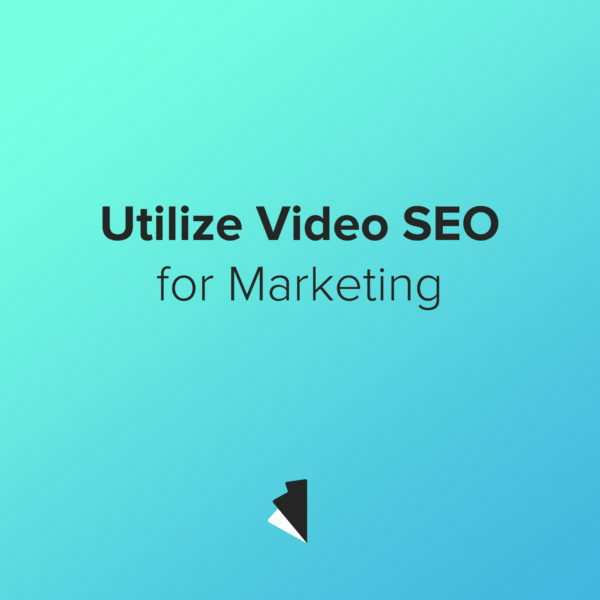 And among some of the best ways to do that, SEO experts have found that utilizing video SEO can have a great impact on your results. By not only creating more dynamic content, video SEO also gives users another means through which to find you. Creating video content can seem daunting, especially if tasked with creating lots of it. For one, it can be expensive. And on the flip side, it can be poor quality. My best recommendation to you is to incorporate filming your social media videos at the same time. Plan ahead, and hire us or someone else to film many video snippets at once. Then you have stockpiled them to last while. Apart from hiring professionals, if your content is powerful, your smartphone can be enough once in awhile. Check out this article to learn a bit about how to do that. Just remember, when filming yourself, your content has to be strong enough to stand on its own. Like any SEO strategy, if you are consistent and don’t give up through the initial growing phase, you WILL see results and video SEO will only take your business further.